A sample photo EBT card released in 2014. AUGUSTA, Maine — More than 3,000 Mainers face bills from the state or federal government because they received too much food stamp funding due to errors by the state. Some of those Mainers face reductions of up to 10 percent of their food stamp benefits, seizure of their income tax refunds or garnishment of up to 15 percent of their Social Security benefits. The Department of Health and Human Services said its own errors led to the overpayment of nearly $2 million to 2,257 Mainers in 2015, plus another $700,000 in overpayments to 811 Mainers in the first four months of 2016. In that particular case, the individual owed $1,814 but the amount was reduced to $1,088 because of a 2015 class-action lawsuit that resulted in a 40 percent reduction of bills for some individuals. The situation angered former state Rep. Bernard Ayotte of Caswell, who said he has received complaints about it from former constituents. Maine is by no means alone when it comes to making errors administering food stamp benefits, and such errors are not new. In 2014, according to a federal report, there were nearly 334,000 agency errors across the United States. However, Maine’s errors increased drastically from 2014 to 2015, from 600 to more than 2,200. Jack Comart, litigation director for Maine Equal Justice Partners, has represented numerous clients facing repayment actions, including in a class-action lawsuit against DHHS in 2015. He said the errors typically are caused by data-entry mistakes or lags in the state adjusting numbers in the formula, such as income and household expense data from recipients. The problem has been more acute over the past couple of years, according to Comart, because of the implementation of a new task-based computer system within DHHS. In late 2015, the federal government chastised Maine for having the slowest processing times for food stamp applications in the country. The U.S. Department of Agriculture warned that if the state didn’t take “swift and immediate action” by this year, it risked losing millions of dollars in funding that pays for the Supplemental Nutrition Assistance Program’s administration. As of October 2015, approximately 200,000 Mainers were receiving food stamps, down from a high of nearly 256,000 in 2012. According to that figure, DHHS’ agency error rate is approximately 1 percent. In 2014, Maine instituted a work requirement for recipients that cut food stamp rolls by thousands. Later that year, it sparred with the USDA on a photo ID requirement for recipients and in September, it announced that it would restart an asset test. 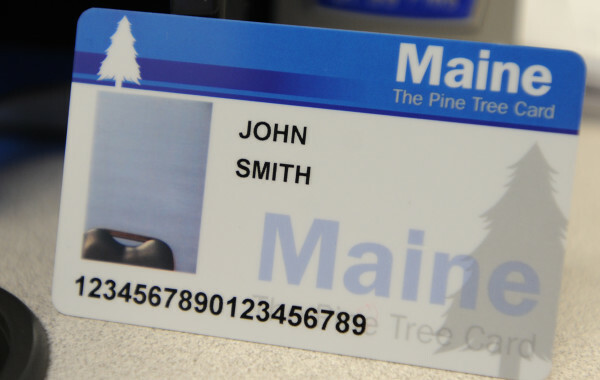 DHHS Commissioner Mary Mayhew has said implementation of the new processing system will improve Maine’s numbers in the long-term, but Christine Hastedt of Maine Equal Justice Partners said it’s the short term she’s worried about. “We have gotten more calls than I ever remember about this problem in the department,” said Hastedt. Agency errors led to the majority of the collection attempts, though collection actions also are being taken against 664 families and individuals who intentionally defrauded the government for the benefits, totaling $1.9 million in 2015 and 2016. Another $1.4 million is being recouped from about 1,500 Mainers who were overpaid because of unintentional mistakes when they applied for their benefits. Overall, nearly 4,000 Mainers were overpaid more than $4.6 million in 2015 and 1,300 people were overpaid $1.3 million in the first quarter of 2016. Edwards said people who are overpaid benefits first encounter collection attempts from DHHS’ Fraud, Investigations and Recovery Unit, which seeks cash payment plans or deductions in welfare benefits of up to 10 percent if the benefits are still being received. “We tend to be flexible on payment plans, accepting almost any offer of repayment terms unless there is a court-ordered repayment structure because of a welfare fraud conviction,” wrote Edwards. If the debt becomes delinquent — which means no payments are made for 180 days — the account is turned over to the federal Treasury Offset Program, which can garnish any federal payments, including income tax returns, Social Security benefits and wages. Intentional violators face additional penalties, including disqualification from social service benefits for six months for a first violation, two years for a second violation and forever for a third.